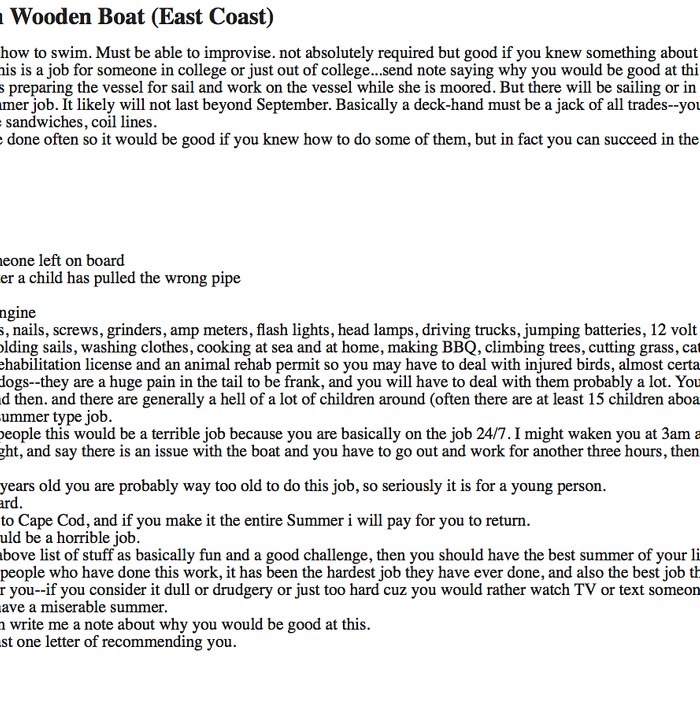 An epic, no nonsense job listing for a strapping, young deck hand was posted this week by a member of the Kennedy clan, according to a family member plugging the position on social media. Max Kennedy, son of Ethel and Robert, a.k.a. “the Captain,” needs a reliable helper for the summer on the Hyannis Port boat where Taylor Swift learned to be fearless, but he is not playing around. “Hard work,” reads the first line, and then come the details. The ad — promoted on Facebook by Kennedy’s niece with the note “Uncle Max seeking to employ!” and comments including “Looks like I had it easy … there were only six dogs when I had this job” — offers $2,000 a month, room and board, and travel: “I will pay for you to get to Cape Cod, and if you make it the entire Summer i will pay for you to return.” If.